This website informs on Flexible Assertive Community Treatment or Flexible ACT (FACT). Flexible ACT is a Dutch version of outreaching community care for persons with severe mental illness (SMI). FACT is also being adopted in many other countries. In Norway, Sweden, Denmark, Belgium, The Czech Republic, UK, Canada and Australia teams have been started. As an introduction to the model we provide the MANUAL FLEXIBLE ASSERTIVE COMMUNITY TREATMENT (DOI: 10.13140/RG.2.1.3925.1683). The Manual Flexible ACT was published in 2013 by J.R. van Veldhuizen & M. Bähler and is on this website available in different languages. Deze website informeert internationale lezers over “Flexible Assertive Community Treatment”, ook bekend als FLEXBLE ACT of FACT. FACT is een Nederlands model voor intensieve ambulante behandeling en zorg aan cliënten met ernstige psychiatrische aandoeningen (EPA). Het Engelstalige “MANUAL ASSERTIVE COMMUNITY TREATMENT “, gepubliceerd in 2013 door J.R. van Veldhuizen en M. Bähler. 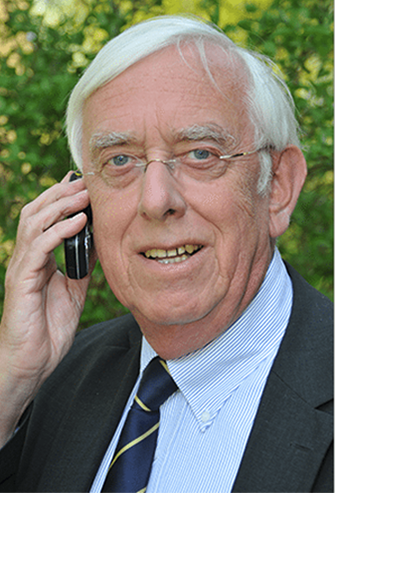 De officiële verwijzing is: ” DOI: 10.13140/RG.2.1.3925.1683″ . Dit manual kan hier zonder kosten worden gedownload. Inmiddels zijn ook een Chinese, Duitse, Franse, Noorse, Roemeense, Tsjechische en Zweedse vertaling beschikbaar. Toestemming tot vertaling wordt gegeven onder strikte condities. Van dit Manual bestaat geen Nederlandse vertaling. Voor Nederlandse teksten wordt verwezen naar het Handboek (Flexible) ACT , Redactie: van Veldhuizen, Polhuis, Bahler, Kroon en Mulder (2015, De Tijdstroom) en voor kortere versie naar het “Zakboek Flexible ACT” van Veldhuizen (2016, De Tijdstroom). Daarnaast vindt u op deze website actuele Nederlandse en internationale informatie. The model is a Dutch version of ACT. ACT (Assertive Community Treatment) was developed in the USA by Stein & Test for the most disabled 20% of the group of SMI, at risk for readmission to the psychiatric hospital. It is a well-researched evidence based intervention. On average, a multidisciplinary Flexible ACT team of 11–12 FTE monitors 200 clients. The target group is the broad group of all individuals with SMI in a catchment area: both the 20% for whom ACT is indicated and the other 80% of the group, who need at a certain moment less intensive treatment and support. To combine care for these two groups, the FACT team employs a flexible switching system. The group requiring the most intensive care is discussed daily and for this group the team adopts a shared caseload approach. The names of these clients are listed on the digital FACT board. For the clients requiring less intensive care, the same team provides individual case management with multidisciplinary treatment and support. When clients become more stable, they do not have to be transferred (as in ACT, through ‘graduation’) to a different team; they stay with the same FACT team. This flexibility to switch between the two modes of service delivery in the same team enhances continuity of care and reduces drop-out. In the Netherlands already more than 400 teams started with this model and a further growth of the number of teams to 600-700 on a population of 17 Million, is foreseen. Together with FACT we introduced also a certifying body: CCAF. More than 400 audits have been completed the last 10 year, see CCAF.NL. The first English article on FACT was published in 2007, and can be downloaded; click here: van Veldhuizen JR, FACT: A Dutch Version of ACT’ (2007), Community Mental Health Journal vol. 43(4) 421-433. Firn, M.,K.Hindhaugh, D.Hubbeling, G. Davies, B.Jones, S.J. White (2012). A dismantling study of assertive outreach services: comparing activity and outcomes following replacement with the FACT model. Soc. Psychiatry Psychiatric Epidemiology 2012 Springer. 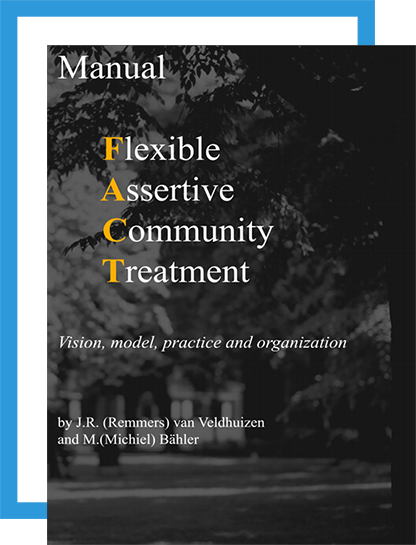 Veldhuizen, J.R. van & M. Bähler (2013), Manual Flexible Assertive Community Treatment , FACT manual, [DOI: 10.13140/REG.2.1.3925.1683], www.https://ccaf.fact-facts.nl. Nugter,A. F.Engelsbel, M.Bahler, R.Keet, R. van Veldhuizen (2015). Outcomes of FLEXIBLE Assertive Community Treatment (FACT) Implementation: a Prospective Real Life Study. Community Ment Health J.,DOI 10.1007/s10597-015-9831-2. Veldhuizen, J.R. van (1986). Het Bed op Recept, GGZ-Gazet, 4, pag.16. Veldhuizen, J.R. van, D. Wiersma & L.M. Ram (1988). Opname Vervangende Dag Behandeling in ontwikkeling. Maandblad geestelijke Volksgezondheid, 1, p.3-18. Veldhuizen, J.R. van (1998). Zorgverlamming. MGV, 53 (12), p.1175 – 1186. Veldhuizen, J.R. van, M. Bähler & W.Teer (2006). Fact: de ‘Functie ACT’. Maandblad Geestelijke Volksgezondheid, 61 (6), p.525-534. 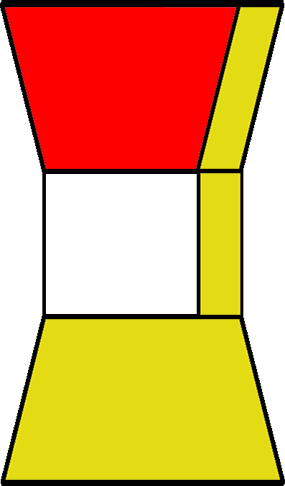 Veldhuizen, J. R. van, M. Bähler, D. Polhuis en J. van Os (red.) (2008). Handboek FACT, De Tijdstroom Utrecht. Regionale Expert Teams (2015) FACT sheet voor optimale FACT-zorg volgens cliënten. Zorgbelang Nederland. Veldhuizen, J.R. van (2016), Zakboek Flexible ACT, de Tijdstroom, Utrecht. J. R. (Remmers) van Veldhuizen (psychiatrist) started FACT in Holland. 1990- 1999 : Inspector for Mental Health Care in the Netherlands. Naast activiteiten rond Flexible ACT ben ik beschikbaar voor advisering, lezingen, training en coaching, werkend vanuit 40 jaar ervaring met professionele en bestuurlijke ontwikkelingen in de sociale psychiatrie en ambulantisering.